Back in 2015, we collected some interviews to the participants of the SqEK / Antipode Foundation workshop. After the workshop, we contacted the Autonomous Study Group Network to complement the materials from 2015. We did our best to overcome technical difficulties and the limitations of the interviews, and to produce a somewhat coherent whole. We’d like to thank all those who allowed us to experiment with this format, so far under-used within SqEK, and specially to Miguel and Claudio who managed the application to the Antipode Foundation. Here’s the youtube playlist of the four videos we made for this event. The plan for the Barcelona workshop was to establish wider activist-research networks of international cooperation on topics of squatting and self-management that go beyond Squatting Europe Kollective‘s reach to include researchers and activists who aren’t part of SqEK but share similar interests. Although we focused on squatting as a highly contentious tool to scale-up protests and defiance of power elites, this meeting was also about working collectively on the issue of proactive self-management. Thus, we were open to exploring ways of organising squatted places beyond their occupation to build-up alternative ways of living, cooperative networking, and radical politics. In Barcelona we aimed to link established housing-rights activists with emerging workplace self-management initiatives – a relatively recent phenomenon in Europe. We also aimed to bring people directly involved in these new practices of occupation together with more experienced activists involved in establishing autonomous social centres and counter-cultural housing projects. 3. Celebration of the workshop in three different venues of the district of Nou Barris in addition to visits to numerous self-managed and squatted places all over the city. 1. The event gathered activists, practitioners and researchers coming from several European countries as well as from the United States, Brazil, Mexico and Hong Kong. In previous SqEK meetings such a large geographical reach was not achieved mainly due to financial limitations. This time, activists from Poland, Czech Republic, Greece, Mexico and Brazil were present in a SqEK meeting for the first time. In particular, participants from Eastern Europe have shown how difficult the situation related to squatting and housing is in those countries. In addition, many activists and scholars from different campaigns and organisations not necessarily experienced in squatting also contributed to the meeting which is a very valuable way of exchanging views. 62 people attended the workshop, presented cases / analyses / posters, contributed to the organisation, or are SqEK members. Most had not participated in SqEK meetings before (22 had). We were able to pay some travel expenses for 29 people; 20 more people attended sessions occasionally and participated in discussions. 2. 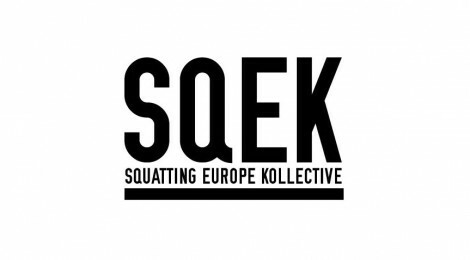 Previous SqEK meetings focused around the issues of squatting houses and social centres, but the inclusion of workplaces within the topics treated was a novel outcome that has contributed to create the link between all these related spheres. As expected, these discussions obliged us to reflect on the linkages between production and reproduction, between struggles on those respective spheres, and the significance of space and self-management in them. 3. Ateneu Popular de Nou Barris, a former occupied social centre and now a remarkable example of a self-managed “social enterprise” in the field of social intervention and artistic production, was used to kick-off the meeting. Some of their members presented their trajectory and achievements during the workshop. In the following days, the academic space of IGOP was used for most of the presentations and meetings. IGOP is also an activism-oriented institute with a strong relation to local/urban policy making, and had kindly provided the rooms and some equipment free of charge. Advertisement of the event on their website also helped to spread the word and to attract an interested audience. The final day of the meeting took place in Can Masdeu, one of the most established occupied social centres of Barcelona with a strong orientation towards the rural/urban interface. Their own cooperative also provided the meals over the three days of the workshop. We also visited a number of social centres and other projects, including La Porka, occupied vacant land in Poble Sec, La Base, Banc Expropiat, Kasa de la Muntanya, Recreant Cruilles, L’entrebanc, and Can Vies. According to our plans, we hired a service for simultaneous language translation/interpretation and a catering service that provided organic lunches to all the participants. Some of the budget was also used to facilitate the affordability of accommodation for some participants (though we tried to minimize spending here due to the already large tourist pressure in Barcelona that benefits private enterprises), while most of the budget served to pay for travel expenses of all the guest speakers (we attempted to strike a balance between funding a few intercontinental flights and favouring overland transportation within Europe). In sum, the workshop was able to bring together different generations of activists and activist-scholars, and to bring into dialogue political struggles from a variety of places. It also contributed to the formation of networks crossing the three fields of squatting, social centres, and occupied workplaces. The films of the cultural events and plenary sessions will allow the viewers to have an idea of the discussions that were held. We also encourage viewers to access the posters of the speakers that are also available on the conference’s website. An exposition was also set up on another campus of UAB. It was integrated into the programme of the International and Intercultural Section of ECREA, one of the largest communication research and education associations. It will also be shown in the central hall of the Faculty of Communication Sciences from the 23rd to the 27th of November. 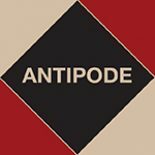 It goes without saying that these materials (see here and here) can now be used by any SqEK member to promote the work of the collective and the Antipode Foundation-sponsored workshop.